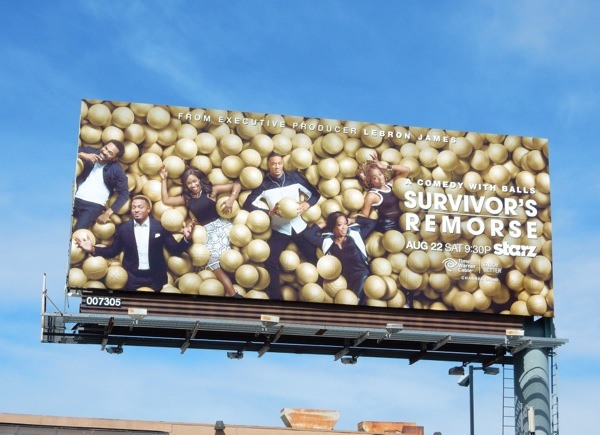 Who says adults can't enjoy a good ball pit, as it's time to jump back into the second season of Starz Pro Basketball comedy, Survivor's Remorse, with this ballsy ad creative. 'Cam Calloway' (Jessie T. Usher) continues to feel guilty about being young, famous and a multi-millionaire, but fortunately he has an entourage and family ready to help him spend all his money. 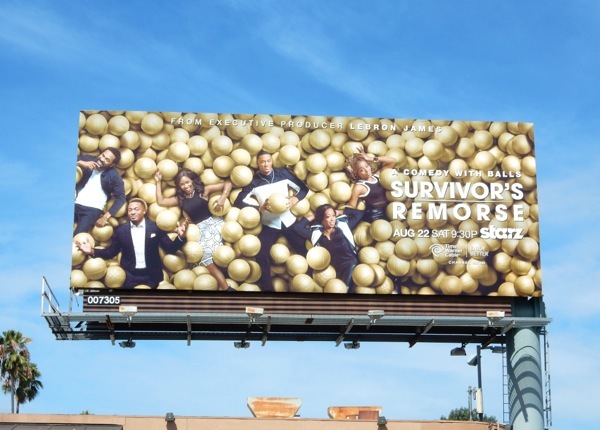 These fun sophomore season billboards for the sporty comedy were first snapped above La Brea Avenue at Sunset Boulevard on August 5, plus later above Hollywood Boulevard on August 15, 2015. 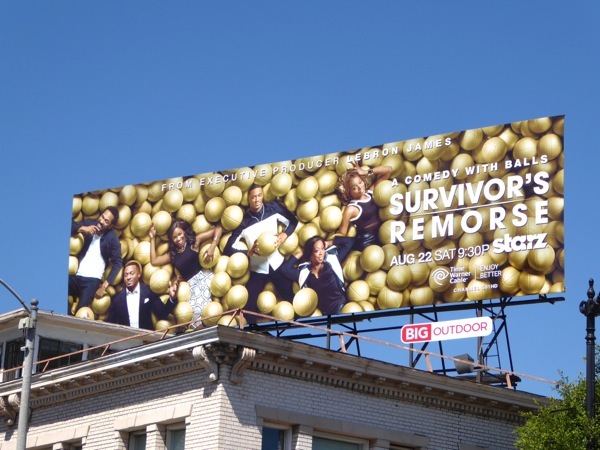 If you're a fan of the show, be sure to also check out these season one billboards for Survivor's Remorse, which included a special gold embellished ad creative for extra visibility. 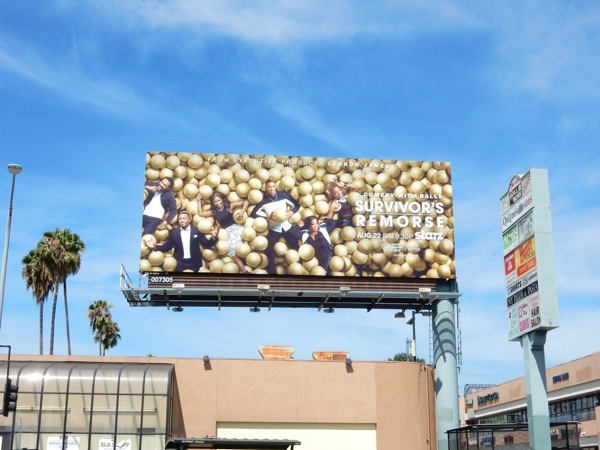 Plus for another sports-themed comedy, this one about Pro Football, be sure to check out these billboards for HBO's Ballers starring Dwayne Johnson. 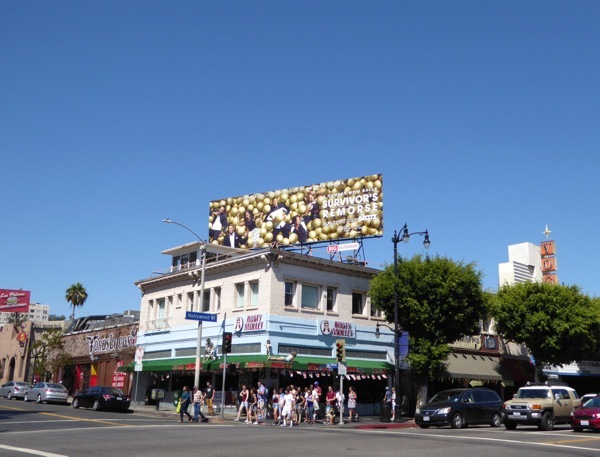 Basketball fans should also take a look at these cool Sprite basketball billboards from the streets of L.A. and New York in 2012.